When you play golf often, you know that many classic golf equipments made in late 1960s no longer exist, but others including Wilson and Titleist are still thriving. 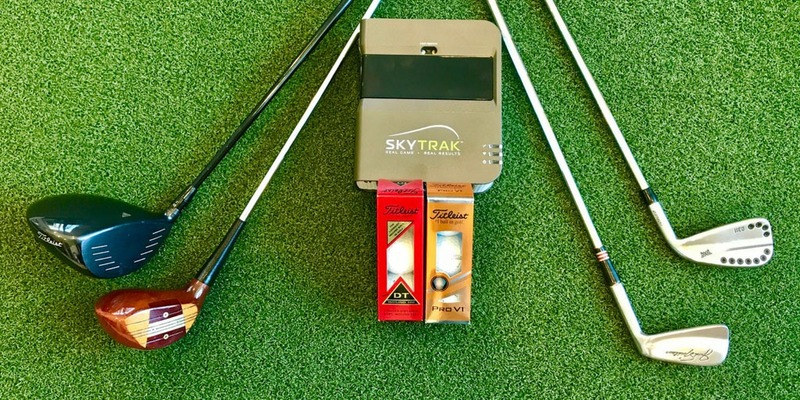 With golf balls, you had two choices – a ball that could go farther but not stop on the green, or you could get one that would spin more, but not carry as far with your longer clubs. Below you will find some comparisons on classic and modern golf equipment which can help you determine which is good for practice. For over five decades, most drivers were made of persimmon wood, and laminated for durability. These drivers were inconsistent from one head to the next as no two drivers even of the same model had identical wood grain, which changed both appearance and performance. Face inserts were generally screwed into place – thus the term “hitting on the screws” became prevalent. And the shafts were mostly steel, made predominantly by True Temper in the United States, although Nippon was also making a name for itself in Japan. Fiberglass and aluminum shafts were also made. Drivers these days have about 300-330 grams total weight. Back then, wooden, steel-shafted drivers weighed 370-390 grams. When you try to swing one of those today, there’s no spring-like effect from wooden heads that were about 130-150cc, of which the hosel was a huge part of. So, the moment of inertia was closer to 1,000 while today most drivers are nearly 5,000, a huge improvement in forgiveness. Modern drivers are much more playable and easier to hit higher and straighter. Especially since those big wooden hosels needed face progression from the shaft axis to the leading edge, which is also produced lower and more open faces at impact. So the modern driver is much easier to hit straight as well which can be considered good for practice. The classic irons were all muscle-backs. Ping was experimenting with cavity-backs, in the form of the Anser irons. Their popular K1 cavity-back emerged in 1969. Today, irons have game-improvement and super-game-improvement with larger heads that are longer and much more forgiving. Now experts say that muscle-back forgings, other than potential distance gains from stronger lofts, bear minimal performance differences from 1969. Older tour-type balls spun 4,000-5,000 rpm and were difficult to keep straight – particularly from those smaller drive clubheads. Today’s premium models generally aim for long, low-spinning tee-shot distance with high spin that helps shots stop on a dime. Today’s models also offer advanced constructions and materials. Compared to classic golf clubs, modern clubs have a higher resistance to twisting (moment of inertia) and larger sweet spots that can result in a more consistent distances on heel and toe hits, and it can’t give any more forgiveness on a ground contact error, making it a good club for practice. When you play golf, whether you’re a beginner or a pro, it’s important to know the differences of classic and modern golf equipment as it can help you determine which is good for practice.